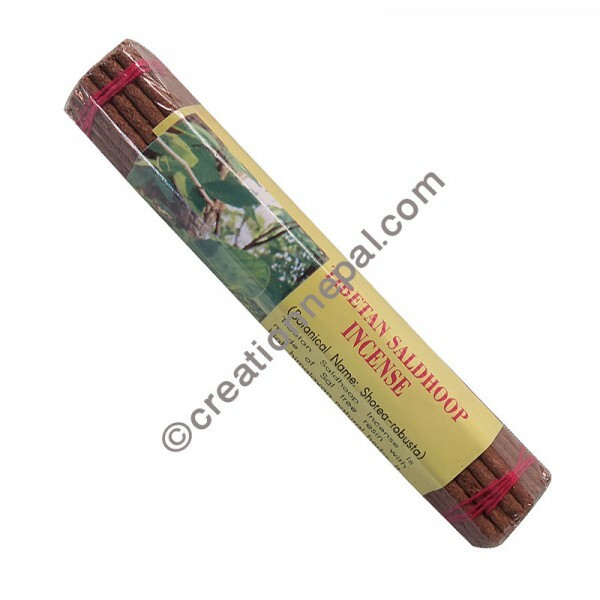 Tibetan saldhoop rolled incense is made from the blend of Sal tree (shore robusta) resin and other Himalayan medicinal plants and it is prepared as per the ancient traditional formula. The actual weight of the packet can be less but the weight mentioned here is based on the volumetric weight for shipping purpose. The incense is organic with NO chemical extract, Non-Toxic and Non addictive. Since the product is entirely handmade, there can be a slight variation in given detail and measurement.